Wanting to see what fall is really all about? 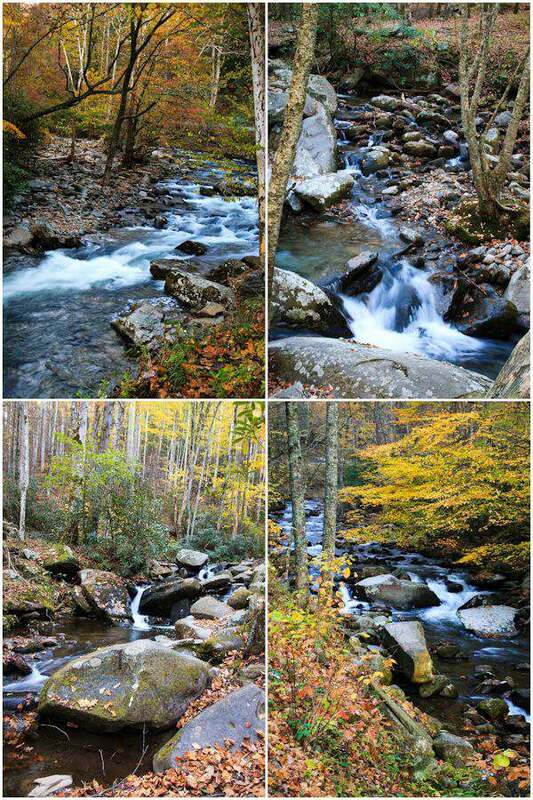 Take a trip to the Great Smoky Mountains to see the beauty of fall and to stop and listen to nature. I knew the mountains were high, but when you have lived your whole life at either sea level or below, it was a bit to adjust to and took a couple of days for my ears to comply. Mr. G and I recently took a 7-day “date trip” to The Great Smoky Mountains. A trip we had planned for so long now. I have never been there before and was so excited to see one of Gods greatest creations on this land we live on. But, the beauty was beyond anything I could ever behold. We packed the car, grabbed the Garmin and off we went on this week-long adventure in the mountains. 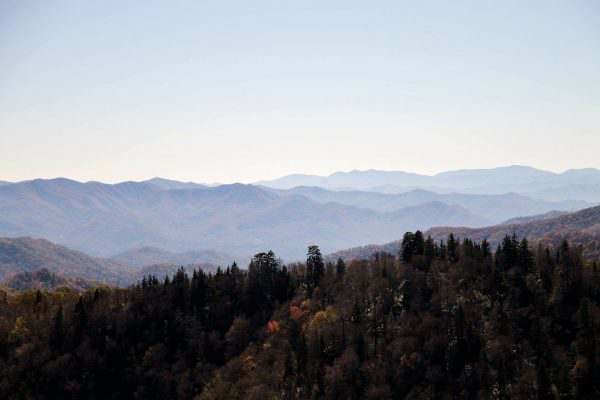 There is a reason for being called The Great Smoky Mountains. The name “Smoky” comes from the natural fog that often hangs over the range and presents as large smoke plumes from a distance. This fog is caused by the vegetation exhaling volatile organic compounds, chemicals that have a high vapor pressure and easily form vapors at normal temperature and pressure. I borrowed that definition from TGSM website since I”m not smart enough to figure out chemicals and compounds. The drive in all directions was just breathtaking. 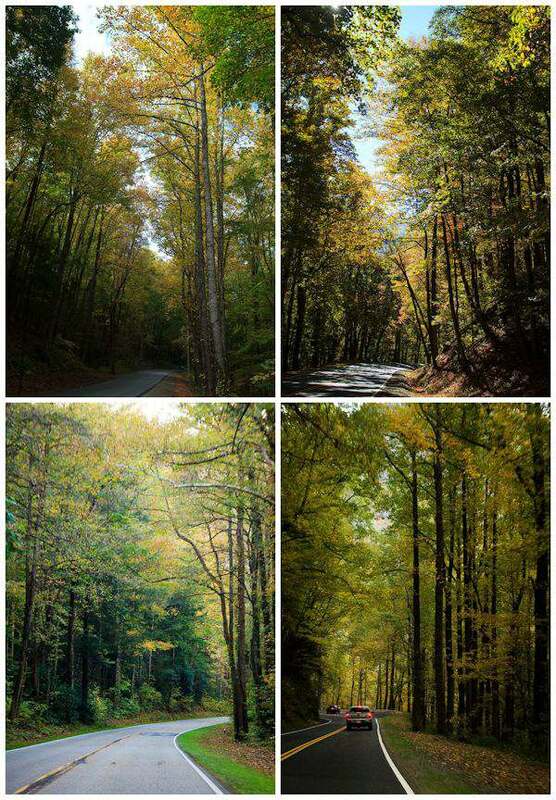 So many tall trees just starting to turn their peak fall colors and the longer we were there, the more color we saw. I was constantly telling hubby to stop at the many pull-over areas for cars to take pictures and enjoy the view. So many beautiful waterfalls to see too. Most of them you really have to hike to, but some were just near the road and just a camera shot away. 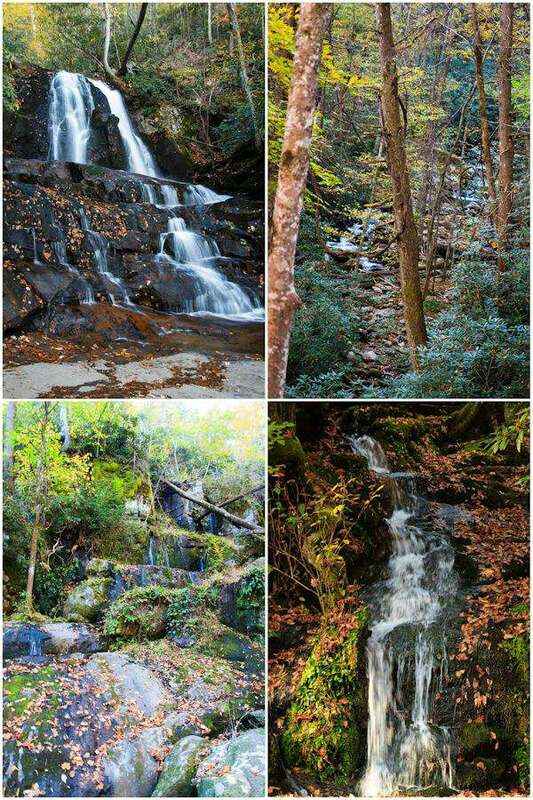 The picture below top left photo is of Laurel Falls, one of TGSM’s largest flowing waterfall. We walked up the side of the mountain on a concrete sidewalk for about 1.3 miles, but it was so worth it. They had a bench up there where you can just sit, enjoy and listen. I figured out that all the happy people were walking down the path instead of up. If you plan to see any of the waterfalls, be sure to do research on how far you will hike and what kind of trail it is. The majority of them are ranked from easy to hard and you have to always be on the lookout for bears. Beautiful rapids ended up being my favorite thing to photograph. Driving on so many of the scenic routes we were greeted by them in all directions. Fall isn’t the rainy season in the mountains and the water was low, but there was just enough to enjoy and another reason to stop the car, watch and listen. Moving water is so soothing. Don’t you think? 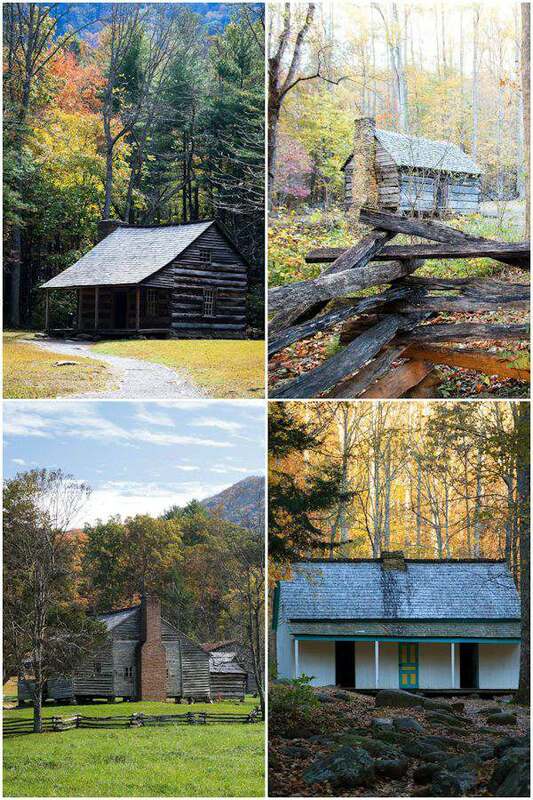 One of my hubby’s favorite things to see were all the 1800’s cabins which have been preserved or just left alone. So many settlers have lived in the mountains. The white cabin in the picture below was painted by the owner and he used all the colors Sears offered at that time, which was only 3. If you ever have the chance to go to TGSM’s be sure to check out Cades Cove and Roaring Fork auto tour. Cades Cove is in an area that is rather flat and surrounded by the mountains. Many settlers came here and after seeing this area, I can see why. 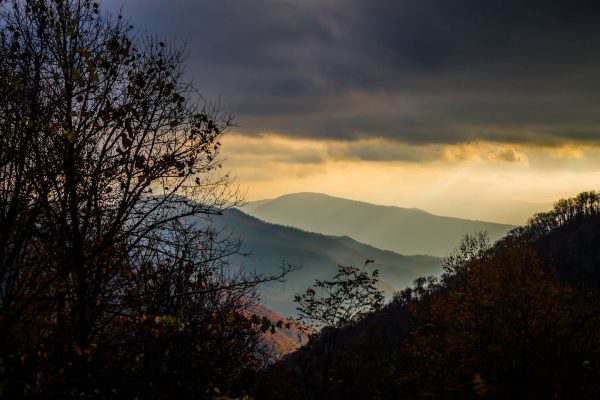 Roaring Fork is a one-way auto tour that is just breathtaking and full of old cabins, wildflowers, and beautiful streams. 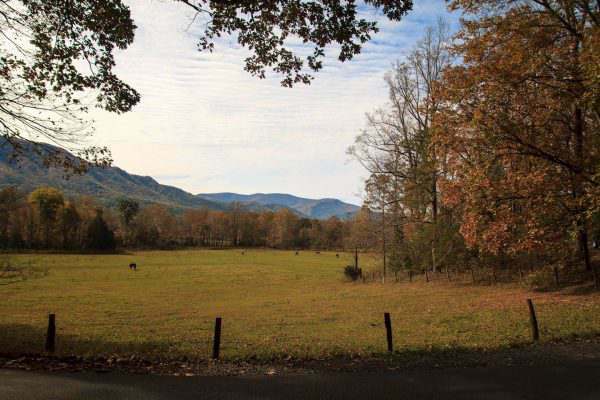 Cades Cove is where many horses graze, bears live, wild turkeys stroll and if you love to camp, this is the place to stay. Many activities are offered along with nice camping sites. 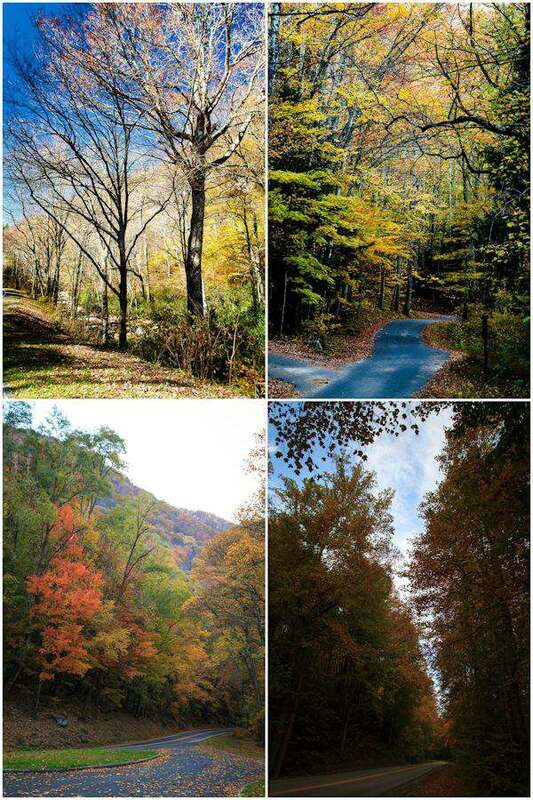 Beautiful area close to Pigeon Forge and Gatlinburg. 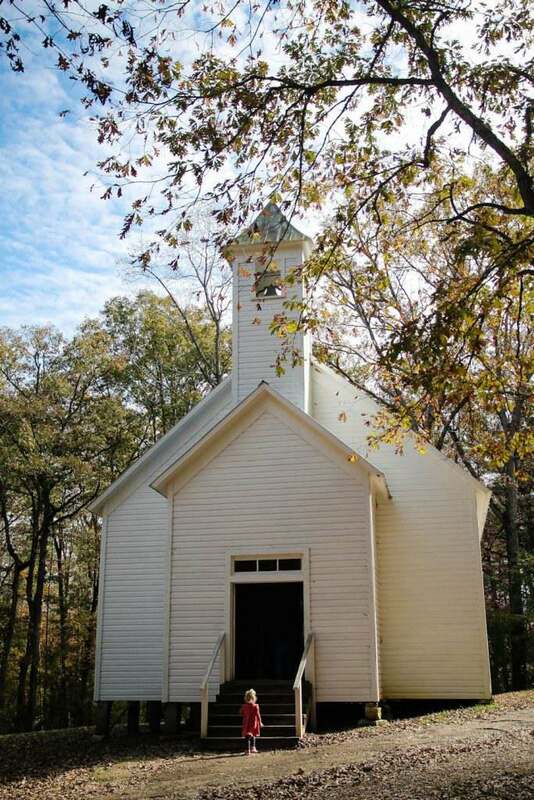 The Primitive Baptist Church is still being used for some services in Cades Cove. Such a classic country church. We didn’t get to see any bears because we were there during the middle of the day. They seem to come out very early in the morning and right before the sun goes down. The last picture I took of the mountains on our way home reminded me why we can always enjoy them. 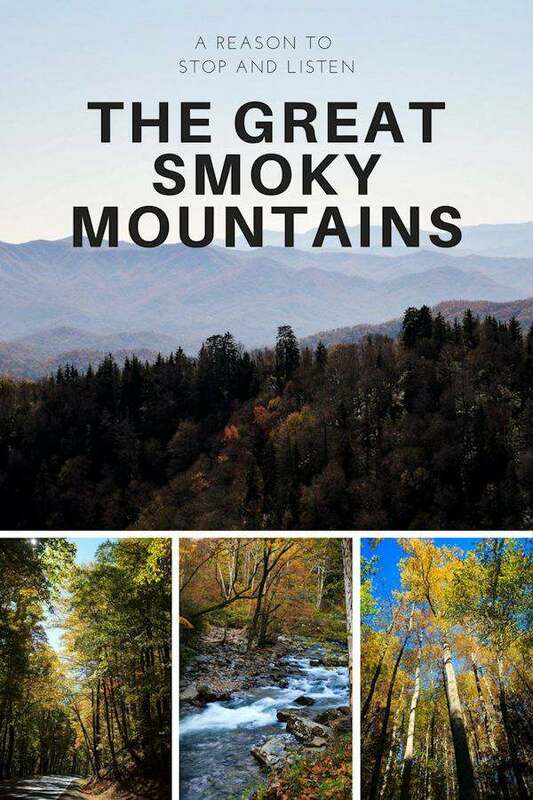 Have you ever been to The Great Smoky Mountains? These pictures are gorgeous, Tammy! We try to go to the Smoky Mountains every few years. I absolutely love it there. I haven’t been to Cades Cove in years. I’ll definitely have to visit it again on our next trip. I don’t think my son has ever seen it. Thanks for the reminder :)! Thanks Candace. It is beautiful. These are absolutely gorgeous. Hope we can visit them one day! Your pictures are absolutely beautiful. 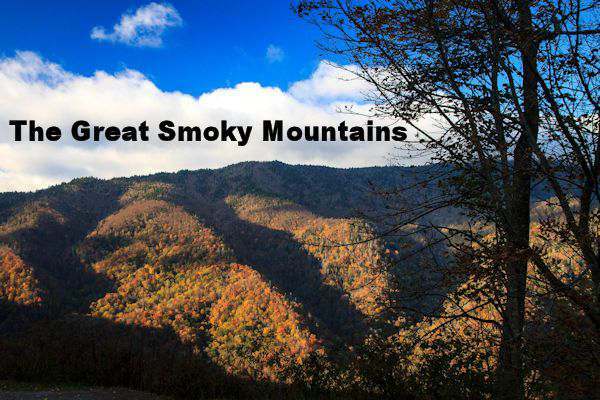 We usually visit the Smoky Mountains a couple of times a year. I just love it down there!